This section contains the Proceedings for each of the annual IGF meetings held since 2006. Each of the Proceedings reflects the meeting programme, content and format, and serves as the primary document of record for that meeting. Below are the Proceedings, presented by year, venue and main theme of the meeting. The Chair's Summary outlines key highlights of the IGF 2018 process and 13th annual IGF meeting. It also contains a summary of thematic messages the IGF community produced. Click here to get the Publication. 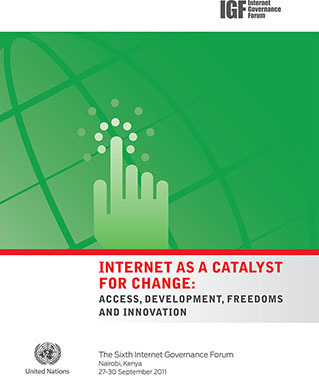 • An introduction and reports – some extensive – of the many other sessions (mainly workshops, IGF Dynamic Coalitions and Open Forums) grouped into eight themes, such as access and diversity, human rights and cybersecurity. Click here to get the Publication. Abridged Report: This is a ‘short report’ of the 11th Internet Governance Forum in Jalisco, Mexico (‘IGF11’) – essentially a shorter version of the ‘long report’ of the meeting. The IGF Secretariat is charged with producing a record of the event, and is taking new approaches to presenting the material. In this short version we present the highlights of the meeting, as summarised by the chair, a brief summary of the main sessions, and the introductory text to each of the eight themes. Click here to get the Publication. Full Report: The long report contains detailed reports from the main sessions and a selection of workshops and other session types. Click here to get the Publication. The tenth edition of the annual IGF proceedings produced by the IGF Secretariat, was done by collecting and organizing the outputs, reports, transcripts, webcasts and other proceedings here in this 2-part report. 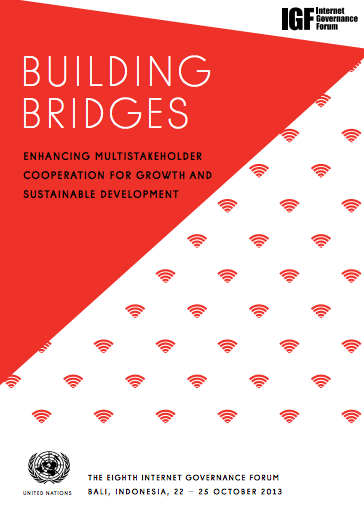 Part I: Summary of the IGF 2015 – Reports and Outputs provides a comprehensive overall summary of the annual meeting and includes all of the session reports, as well as the Chair’s Summary, tangible outputs from the 2015 IGF Best Practice Forums (BPFs) and Policy Options for Connecting the Next Billion work and reflections on the meeting including the stock-taking synthesis report, the gender report card and attendance statistics. Click here for Part I. Part II: Transcripts of the Proceedings contains edited transcripts from all of the high-level main sessions that took place during the 4-day meeting, as have been traditionally presented by the Secretariat since the first edition of the IGF proceedings. Transcripts of the High-Level Opening Ceremony, Opening Session and Closing Ceremony are also included. Transcripts contain both verbatim records of participants who spoke in English as well as English translations of those who spoke in one of the other UN official languages and Portuguese. 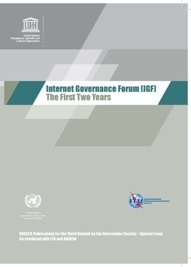 This is the ninth volume of the annual Internet Governance Forum (IGF) proceedings produced by the IGF Secretariat. It contains an overview of the preparatory process, discussion at the meeting, as well as points of convergence and divergence and any recommendations that were suggested during discussions. The Publication reference materials from the IGF 2014, and contains a summary of documents and publications that were launched at IGF 2014 or produced during the meeting itself. Click here to get the Publication. The eighth volume of the 2013 Proceedings is presented in chronological order of the four-day meeting. The reports of the workshops and other events are grouped thematically and follow the edited transcripts from their corresponding sessions. A narrative report from the Host Country sets the stage for the rest of the publication. It contains the Chair’s Summary of the meeting, as well as the summary of all main sessions, the transcripts and reports of the workshops and other events. 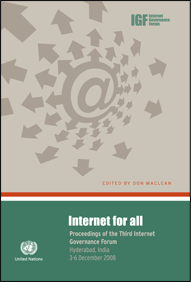 The appendix provides a glossary of Internet governance terms. Attendance statistics give a breakdown of those who participated in person. Click here to get the Publication. The seventh volume of the Proceedings follows the chronological order of the four-day meeting. The reports of the workshops and other events are grouped thematically and follow the edited transcripts from their corresponding sessions. A foreword from the Host Country sets the stage for the rest of the publication. The full proceedings come next which contain the transcripts and reports of the workshops and other events. 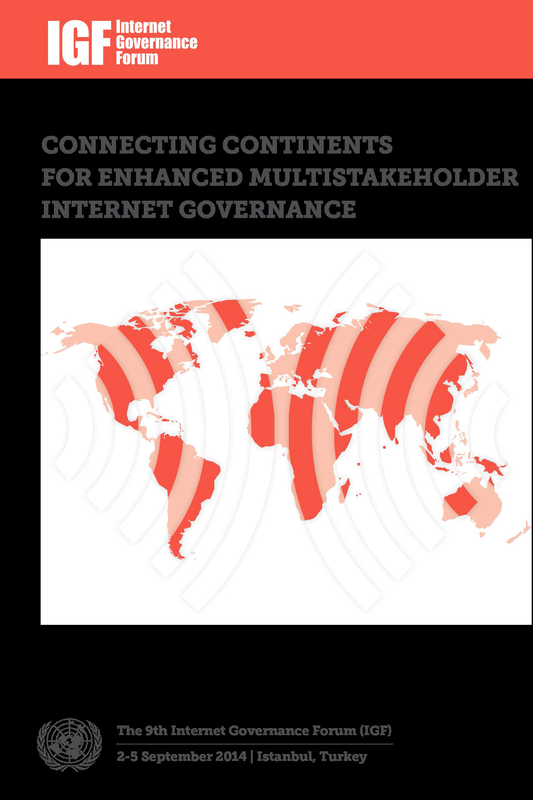 The appendix provides a glossary of Internet governance terms. Some attendance statistical graphics give a breakdown of those who participated in person in Baku. Click here to get the Publication. The sixth volume of the IGF Proceedings intends to deliver a comprehensive account of the four day meeting. The content is presented both chronologically and is grouped thematically. It consists of the transcripts of the main sessions and the reports of the workshops that took place throughout the week. The Appendix includes the participation statistics of the meeting and a glossary of IGF terms that are helpful to those who might be new to some of the subject matter. It includes the reports and transcripts of the sessions. Click here to get the Publication. The fifth volume of the book follows the chronological order of the meeting itself. Background papers and information on the preparatory process were not included this time around. Instead, the volume concentrates on the meeting itself only. Like last year’s volume, the reports of the workshops and other events are grouped thematically and follow the transcripts from their corresponding sessions. Click here to get the Publication. 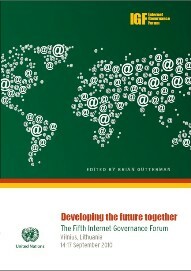 This book documents the proceedings of the fourth meeting of the Internet Governance Forum (IGF), held in Sharm el Sheikh from 15-18 November 2009. This publication contains excerpts from the transcripts of all the main sessions as well as reports of the workshops and other events held at the Sharm el Sheikh meeting. More than 100 workshops, best practice forums, dynamic coalition meetings and open forums were scheduled around the broad themes of the main sessions and the overall mandate of the IGF. Click here to get the Publication. 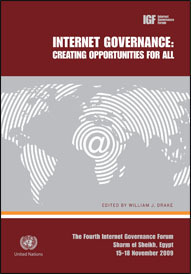 This book is the second publication that documents the proceedings of the Internet Governance Forum (IGF).The bulk of the material is presented thematically, under headings reflecting the four main issue areas of the Hyderabad IGF – access; cyber-security and trust; critical Internet resources; and next steps, including emerging issues, stock-taking and the way forward. 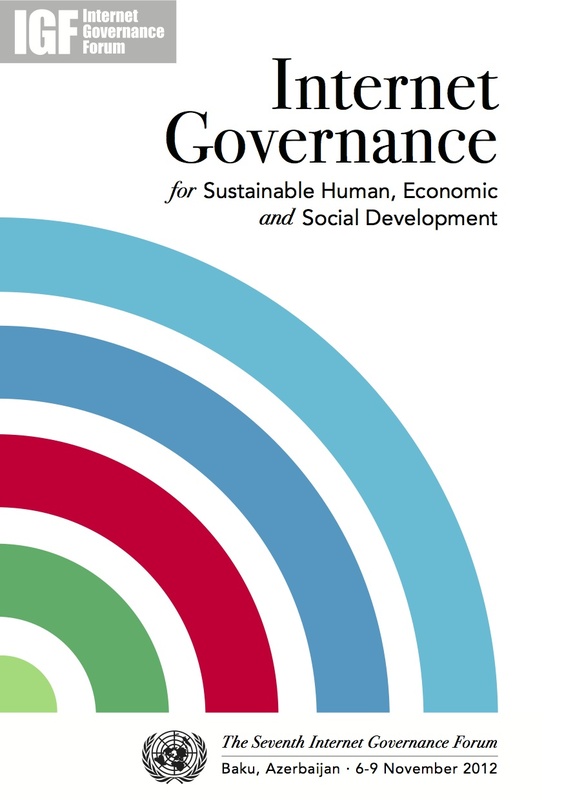 Documents related to each of these themes are presented so as to proceed from the general to the specific, beginning with extracts from the Chairman’s report, then moving on to extracts from transcripts of panel discussions and open dialogues, and finally concluding with reports of relevant workshops, best practice forums, open forums and dynamic coalition meetings. Click here to get the Publication. The first ‘IGF Book’ contains the proceedings of the first two meetings. Some distinguished personalities who showed a keen interest in the IGF as an experiment in multistakeholder cooperation gave their personal reflections. The ITU and UNESCO helped make this publication possible. Click here to get the Publication.